The ONE Ritual That Will Change Your Life! 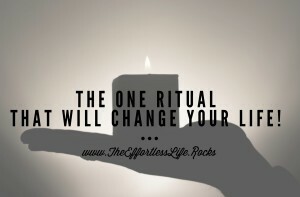 It is the one ritual that will change your life! Best part? It is simple to do! Talk about Effortless! I am a Momma of 2 girls, 10 & 3. I run a transformational coaching business. Needless to say, I am busy – just like you. So Effortless systems are mandatory in our lives. The One Ritual is ….. Setting a Daily Intention. It will CHANGE YOUR LIFE! This is SO powerful in so many ways! Here are my favorites. For most of us, we are rushing to get out of the door to get to all the “stuff” we need to do. We are not focused in on how we want to feel throughout the day. When we spend a few minutes daily focusing in on how we want to feel – that is really powerful. What an amazing way to leverage our “inner GPS”? As our lives seems to get more busy, we need to make the time to live in the present moment. When we begin our day with an intention, we start off taking a few deep breaths to get present and increase our vibrations. It’s like rebooting our brain. If you are a visual person like me, you can check out the live streaming Periscope I did just for this topic! This is essential! If you are setting an intention out of fear, worry, stress or any other negative vibration the intention is not as powerful. So, let’s maximize the power of the intention! Take a few cleansing breaths. Focus on 3 different things you have Gratitude for. Engage your emotions into the activity. When you elicit your emotions, your energetic vibrations will increase. Now, take a few moments to focus on your breath. This creates presence in the here and now. Next, ask yourself “How do I want to feel today?” Do you want to feel empowered, loved, happy, generous, etc? Take a moment and sink into that feeling. Finally ask yourself “Are there any meetings or events that are happening today?” “How do I want to show up in those meetings/events?” Do you want to be a leader? Do you want to give value? Do you want to connect with like minded people? This is crucial. So many times our minds want to jump to “how” our intention will manifest. By doing that we are limiting ourselves to a few outcomes. And who the heck wants to be limiting? By releasing the control we can allow for the intention to manifest. Trust the universe has your back. Sometimes things happen for us in unexpected ways. The outcome can hit us by surprise, so trust Life is Happening FOR YOU. Always. 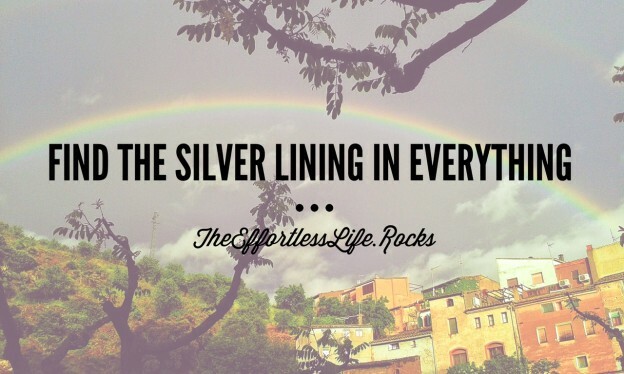 Because life is filled with speed bumps, detours & construction zones. And in those “hiccups” is where we are able to grow, learn & stretch into our Best Self! The last thing is to incorporate this into your daily practice to really see the change in your life. 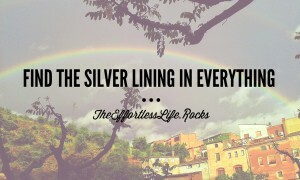 Remember, it take effort to be effortless! Ready to create a life your are Obsessed with? The life you are meant to live? I’ve got your back! We will get clear on where you are, where you want to be AND I will give your some recommendations how to get there. Set up a complimentary discovery call with me now. This entry was posted in Blog and tagged best self, control, focus, having it all. focus, highest self, intention, Mantra, meditation, mindset, mompreneur, Positivity, productivity tips, stress on December 7, 2015 by Theeffortlesslife.